Traction alopecia is hair loss caused by stress, but not the emotional kind of stress. 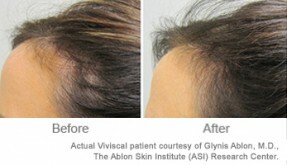 Traction alopecia is caused by the physical stress put on your scalp from excessive tugging and pulling on your hair. The most damaging hairstyles that cause hair loss and breakage are the ones that pull tightly on the scalp. Think sleek ponytails, tight braids and hair extensions. 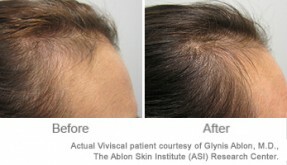 Luckily, the effects of hair damage and hair loss from traction alopecia are usually reversible. 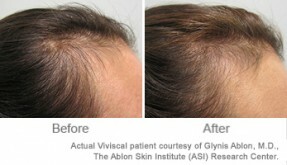 The best treatment for traction alopecia is to give your follicles and scalp a break from these damaging hairstyles. Instead, try these five low-manipulation, easy-to-do hairstyles that can help reverse traction alopecia by lessening the pressure on the scalp. Traditional updos are sleek and tightly pulled — exactly what you want to avoid. The slightly messy updo is a good alternative to a sleek bun that still looks polished and pretty. This date-night-ready look will help you avoid tight ponytail hair loss! To get this precisely messy look, use a comb to slightly muss up the front and tease the sides. But avoid excessive teasing to keep breakage to a minimum. Tie it up with a few pins or a loose ribbon to avoid any pulling on your hair follicles. 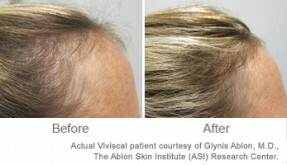 Traction alopecia regrowth can happen naturally if you wear loose hairstyles like this rather than tight, rigid styles. An added bonus of the messy updo is that the volume plus wavy texture help give the illusion of thicker hair. So if your hair is fine and breaking, this hairstyle is perfect for you! Of course, wearing your hair down is one of the best hairstyles for traction alopecia sufferers. This style gives your roots a chance to recover from any pulling and tugging. However, not all women like wearing their hair completely straight and down. Blunt bangs are a great way to add style and pop to a straight hairstyle. Have your hairstylist start your bangs higher up, near the crown of your head rather than at your hairline. With any type of bangs, make sure to keep your hair clean! You don’t want oily bangs sticking to your forehead. For women with medium-length hair, wavy is the way to go. It’s got just the right amount of attitude and style. Plus, it’s the perfect hairstyle to fight traction alopecia since there is no stress on your follicles due to blow-drying, brushing and flat-ironing. Just add a little product to hair and let it dry loose and wavy. Hair cut tip: try a jagged side part instead of a center part to add more layers. These layers will hide thinning spots and make hair look thicker overall. 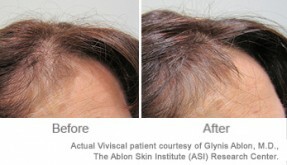 It’s a great way to draw attention away from any problem areas caused by your alopecia. For women with naturally curly hair who usually wear braids or a weave, traction alopecia can hit especially hard. These “protective” hairstyles often require a lot of product, tight pulling and manipulation (think twist-outs and braids) to get them just right. Wearing your hair natural is the best way to give your follicles a break. You might need a bit of product to get this look completely right, but the small amount of hair product is much better than the constant pulling of braids or weaves. Not only will this style help reverse your hair loss, you can avoid the pain and headaches from tight braids. Try a short hairstyle like the one pictured above. Or if your hair is a bit longer, you can go for a tapered cut. You’ll see your problem areas improve in no time. The braid is one of our favorite low-manipulation hairstyles for women with medium to long hair. It pulls your hair back loosely, but it puts much less stress on your roots than tightly pulled, intricate braids. Put the braid down the middle of your back or create a side braid. You can position the plait just so to cover any spots with thinning from traction alopecia. And it won’t look like you’re trying to cover anything — it’s just a funky way to switch up the braid. No one will be the wiser! 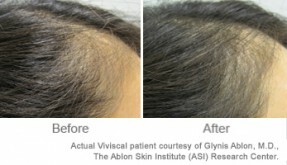 It can be a bit scary at first to try to reverse traction alopecia… but don’t worry too much. If you let your hair rest by wearing it down as often as possible (especially after a ponytail or tight-braid day), your problems will start to subside in a few months. Reducing friction (try satin pillowcases) and adding a growth vitamin to your diet can help too.